Do you know you can now achieve flawless-looking skin with the all-new TimeWise® Microdermabrasion Plus Set from Mary Kay®, combining the benefits of the Mary Kay® all time favorite TimeWise® Microdermabrasion Refine and the brand-NEW TimeWise® Pore Minimizer serum? It is definitely heaven sent for people like me who are already in our late 30s or early 40s, as when we age, our skin shows signs of aging with being having more pigmentation, fine lines as well as pores.. 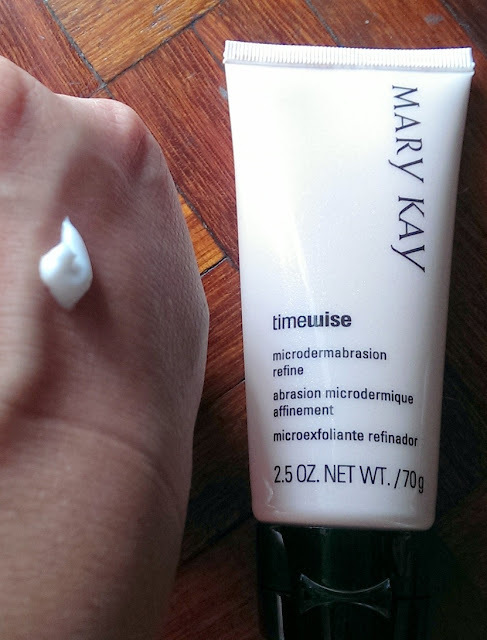 I was delighted when I got to try the TimeWise® Microdermabrasion Plus Set from Mary Kay® as I heard that we could achieve instant results. The TimeWise® Microdermabrasion Plus Set from Mary Kay® is said to fight fine lines, refine pores and achieve beautifully smooth skin – immediately!! Application: After cleansing, apply a quarter-sized amount of Step 1: Refine to wet face with fingertips. 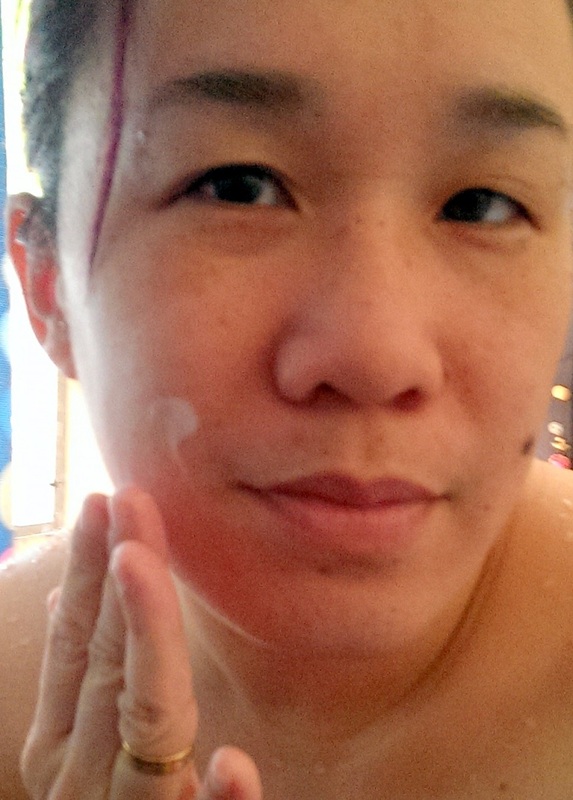 Using circular motions, gently massage face with fingertips for 1-2 minutes. Rinse thoroughly with warm water and pat dry. What I liked best about this product was that it was like a creamy, fine sand (like the fine beach sand) consistency that felt like sandpaper. 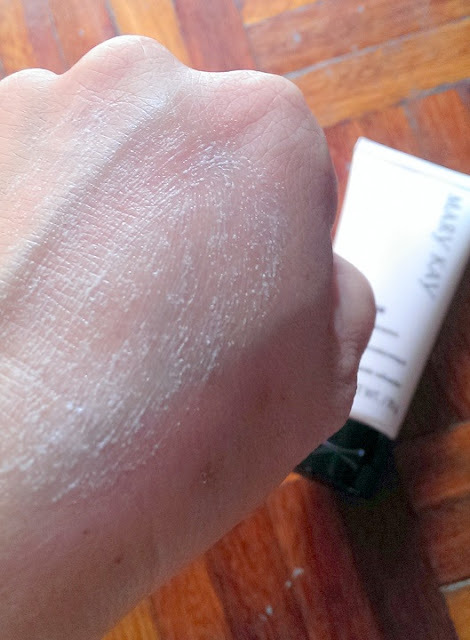 Your skin should be lightly dampened when using this product for the best result. Just very gently roll them on your face, but do it for at least a couple of minutes. My face was felt very smooth and clean after use. The all-new TimeWise® Pore Minimizer serum significantly reduces the visible enlarged pores, gives you close-up-confident skin. Results get better over time. I heard that it is estimated that there is an average of 20,000 pores on our face With that enormous amount, it’s easy to get hyper focused on them, as some pores are particularly visible or become more visible over time. They can appear big and lose their shape due to aging and other factors. With the latest Mary Kay TimeWise® Pore Minimizer, it significantly reduces the visible number of pores. This gentle serum provides a daily defense against the look of enlarged pores. It reduces the appearance of pores and immediately improves skin texture. Step 2: Replenish separates the set from the competition. It's a rich serum, containing vitamins, antioxidants and anti-irritants. 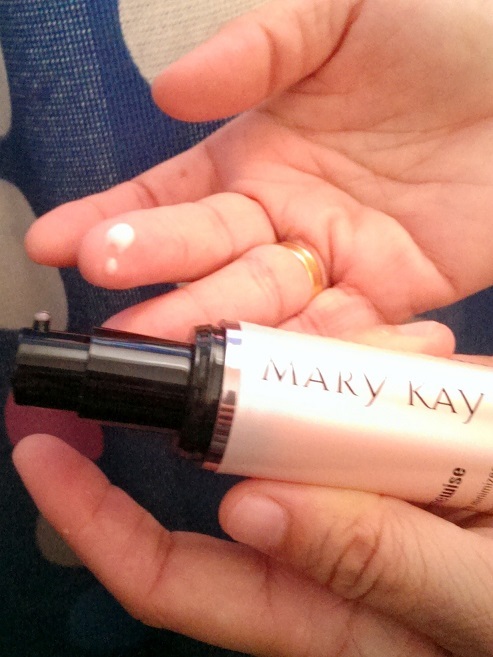 This serum nourishes the soft, smooth skin revealed by Step 1: Refine. The Pore Minimizer leaves your skin feeling nourished and relieved while visibly improving skin clarity. The fast-absorbing formula instantly helps calm and comfort skin as it reduces the appearance of redness. You can look in the mirror and see your own close-up-confident complexion. The TimeWise® Pore Minimizer Formula is suitable for all skin types and skin tones. This serum features a combination of botanical extracts to help deliver powerful benefits to your skin. Because loss of skin elasticity is a main cause of pores looking enlarged, targeting skin elasticity can help improve their appearance. Persian silk tree bark extract and soybean extract are shown to support skin proteins, which may help tighten the look of skin overall and around pores. In addition, the skin-calming and comforting benefits of Pore Minimizer are infused with ingredients such as sea whip extract and evodia fruit extract. These two ingredients have been shown to deliver calming and comforting effects to skin. On a personal note, I really like this replenishing serum. It leaves my skin soft and smooth. It's a great step to include after using the microdermabrasion scrub. So if you really want a close-up-confident complexion, be sure to combine the power of TimeWise® Microdermabrasion Refine with the NEW Pore Minimizer. Start with Microdermabrasion Refine 2 to 3 times a week to immediately remove buildup from pores and apply Pore Minimizer thereafter, which then immediately minimize the appearance of pores. With the TimeWise® Microdermabrasion Plus Set, you can take your skin-smoothing, age-defying skin care regimen to a new level. I have a friend who is a Mary Kay agent. Must look her up for this set. Looks effective. nice product to use. I have this brand as well but not this range as its use for makeup. i got my eyes on the pore minimizer. hehe. how much is it? alamak... good question...I must go ask.... any other Mary Kay people here or so who can help answer?? This looks like an effective product. Wouldn't mind giving it a try. they seem cant live without each other! Interesting product, not sure if I'll ever have need for it. Always felt that all these beauty products are one of the main culprit in killing the skin because it removes a lot of the pre-existing layers of protection our skin naturally produce.